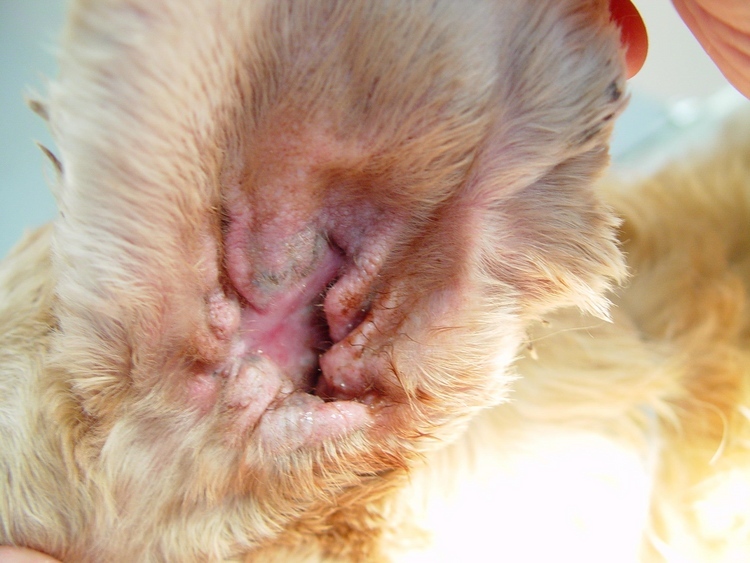 Ear canal tumors in dogs are quite common with many being extremely aggressive and destructive. These tumors are nodular overgrowths secondary to inflammation. Others are benign or malignant cancers of the glands of this area. 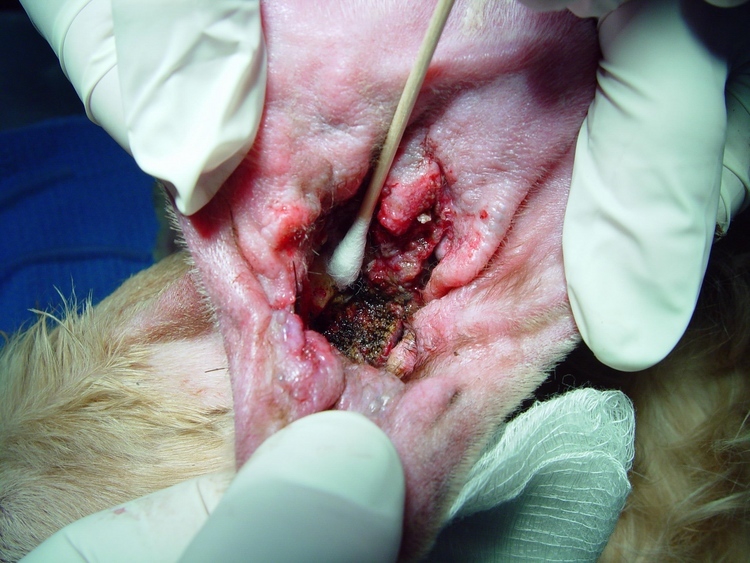 The reasons for the development of ear canal cancer in one dog and not the other are not completely understood. Chronic inflammation of the ear canal may predispose tumor formation. "Molly," a 13 year old Cocker Spaniel, was referred to our clinic for complete evaluation and treatment of a large mass filling the left ear canal. She has a history of chronic ear problems and was also experiencing some changes in the opposite ear canal. Upon examination significant periodontal disease was found. 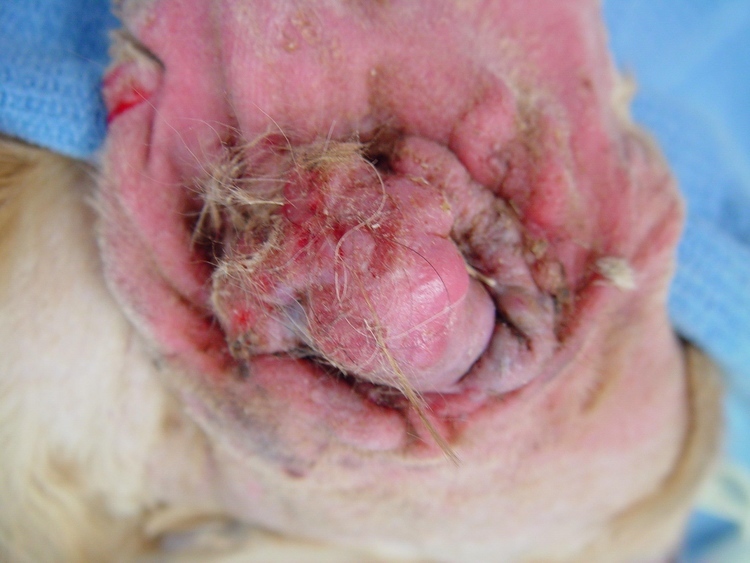 After a complete and detailed discussion with the owner, the decision was made to attempt surgical removal of the left ear mass with the possibililty of future advanced dental care. Our pre-operative assesment ( baseline labs, x-ray, etc) were completed and our operative protocol was initiated. A firm surgical treatment plan for this condition is difficult. Advanced Imaging, such as CT Scan or MRI, would be helpful documenting the size and invasive nature of the mass. However, these diagnostic tools can be cost prohibitive. 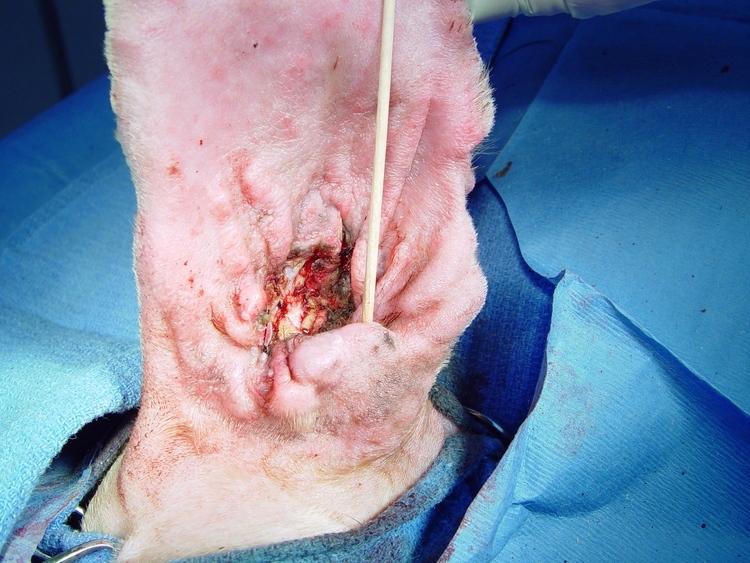 Surgical resection is the mainstay of treatment with the understanding that complete excision may be impossible. Further therapeutic consideration of the case may be aided by additional consultation with a clinical oncologist. Changes in "Molly's" veritcal canal ruled out a Total Ear Canal Ablation (TECA.) CO 2 Laser debulking and resection was our surgical recommendation. Lasers are used succesfully in oral and maxillo-facial surgery for their precise cutting and thermal abaltion ability. CO 2 Laser Tumor Ablation was completed in two stages. Stage 1: Primary debulking (reducing size of mass) and excision. Stage 2: Thermal abaltion of the remaining tumor mass. This stage is completed serveral days later enabling easier access and identification of neoplastic tissue. 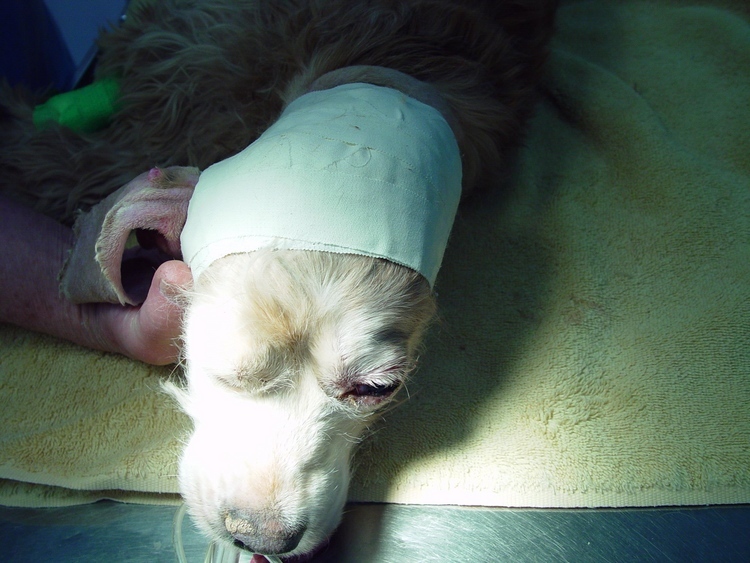 Bandage changes are every 3-5 days for cleaning and evaluation. Follow up every 2-4 weeks is recommended to monitor potential tumor regrowth. With the ear canal now patent (open) treatment can be initiated to control any remaining inflammation and infection.